Here’s free printable Cinderella invitation. It’s perfect for a Disney Princess birthday theme. It comes in simple JPEG invitation. This invitation comes in blue color. 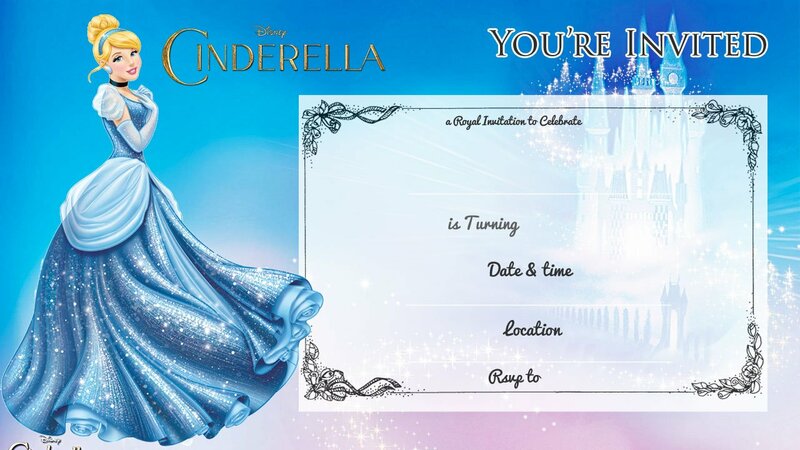 Cinderella Printable invitation comes in JPEG format. You can either quickly print and fill your birthday party details with a pen or marker. Fill your invitation with name, years, Date , Time and location. Don’t forget to give your RSVP number too! For a sturdy birthday invitation paper, you can use white cardstock paper. Cardstock makes your invitation feels more authentic. Simply click the image and save the image as. Save it to desktop, and you’re ready to print the invitation.